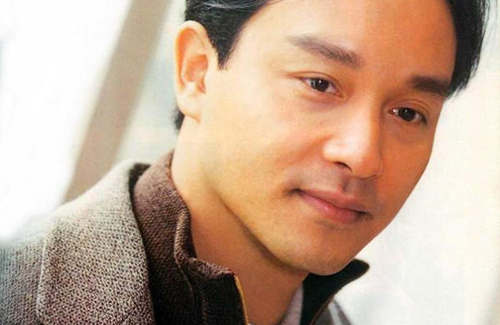 April 1, 2013 will mark the 10-year death anniversary of Cantopop and movie legend, Leslie Cheung (張國榮). Leslie had jumped to his death in 2003 from the 24th floor of the Mandarin Oriental Hotel in Hong Kong. He was only 46 years old then. A tribute concert entitled “Miss You Much Leslie” <繼續寵愛．十年．音樂會> will be held at the Hong Kong Coliseum on March 31. Leslie’s former manager and close friend, Florence Chan (陈淑芬), revealed that she will read out a message that Leslie had left for his fans. Stressing that this is not Leslie’s suicide note, Florence disclosed she had only shared the note with one other person though it was not Leslie’s partner, Daffy Tong (唐鶴德). For fear of adding more grief and misery to Daffy, Florence had withheld the note from him. The concert will comprise of Leslie’s golden melodies and will be sung by several of his good friends who would also share tidbits of him on stage. Although the list of singers has been kept a secret, the Hong Kong media reported that Jacky Cheung (張學友), Tony Leung (梁朝偉), Karen Mok (莫文蔚), Kelly Chen (陳慧琳) and Chilam Cheung (張智霖) will perform. Kelly Chen said, “I will play a medley of Leslie’s fast songs and will use two weeks to practice the dance moves.” Having known Leslie for many years, Kelly revealed that Leslie he invited her to his house to practice acting with her. The concert will be aired by TVB and may even be telecast live if the licensing rights are secured in time. In addition to the Coliseum memorial concert, the Hong Kong Philharmonic will be holding a tribute concert from March 18 to 20 at the Hong Kong Cultural Centre. Photographer Wing Shya (夏永康) will publish a book of images he has taken over the years of Leslie with contributions from Daffy Tong of never-before-seen shots of the icon. Daffy will also lend the trophy Leslie won for Best Actor at the Japan Society of Film Critics Award for Farewell My Concubine <霸王別姬> to be exhibited. There will also be screenings of Farewell My Concubine at the Sunbeam Theatre. Times Square and Fun Entertainment will organize an exhibition to commemorate Leslie’s death. The exhibition consists of three zones covering his music, stage performance and film careers. A mini movie theatre in the Times Square piazza will also showcase Leslie’s films and interview clips of renowned artists and directors. There will also be a display of movie posters and books from the early days of his acting career. Leslie’s fans are folding 200,000 origami cranes, which will be exhibited in Hong Kong’s Times Square between March 28 to May 1. And for the first time, an official figurine of the star will be created. The 3,000 limited edition dolls depict Leslie wearing his signature black formal wear. The 12-inch doll is on sale for $1,680 HKD. Hong Kong’s major television studios and radio stations such as TVB, ATV, Commercial Radio and Metro Broadcasting will play Leslie’s movies and songs. Each year on April 1, thousands of Leslie’s fans grieve his passing. This year, Hong Kong will be bustling with events commemorating Leslie, who left behind a rich legacy and a lifetime of memories for fans. It is a final message but not a suicide note? Why reveal it now? If it is something personal let it remain personal. Give this poor man some space, he’s dead. I’m sure Florence Chan will explain why she withheld it for so long. I am sure if it is something that Leslie wanted his fans to know then it should not be that personal. Maybe he just wants to let his fans know that they were important to him or something of that matter. Therefore, I don’t feel it is the biggest deal if his close friend revealed it. His fans supported him when he was alive and still support him after his passing so deserve to know what he wanted to tell him. Meant to say tell “them”, gosh I need the edit button. There are rumours saying it’s just a publicity stunt. I hope it isn’t. I don’t think it’s a publicity stunt. With the caliber of performers for the event, tickets would have been sold regardless. Would any single and cute ladies like to come with me to Times Square? Preferably without pepper-spray in their handbags. cant wait to be in the hk coliseum to pay tribute to this bright star.he is the best singer/actor that hk ever have had.still miss him after 10 years. Ah, I was just rewatching Rouge yesterday as well… Didn’t realise it’s already coming up to 10 years. Really don’t understand what kind of reason she would have to hold out 10 years for fans? I think only if he specifically stated in the note to not reveal till 10 years later is it a good reason to hide it for so long if its something he wanted to convey to his fans. As nice as it is to remember him, I wonder where all the money from this is going. It just seems more like a money grab then a memorial show from all the merchandising and promotions they are having. If TVB are involved, you know they are only in it for the money. I hope that proceeds go toward some charity he has designated before his death and not into the pockets of people monetizing his legacy. Hope wherever he is, he is smiling knowing that so many fans still love him and his music. You should check out Red Mission and what they’ve been doing. Mrs Florence Chan is helping his fans to have some sort of closure (which will never happen because we still love Leslie so much) and for her trouble, it’s only natural that she has to cover her costs, its not a money-grabbing exercise. hope we can watch the memorial concert from the internet, Leslie is a legend, miss him so much. THIS IS IMPORTANT ******* Setting the record straight… already 2 million (repeat 2 million) origami cranes have been received. We’re going for Guinness World Record. They’re still opening boxes and boxes of those origami cranes, already exceeded 2 million.